Dr Ranald holds a Master’s Degree in Political Science from the University of Adelaide and a Master of Public Policy degree from the Graduate School of Business at the University of Sydney. 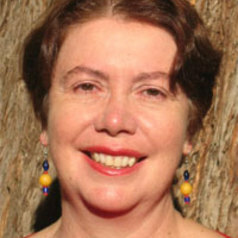 Her Doctoral thesis in International Relations at the University of NSW was a comparative study of the World Trade Organisation and regional trade agreements, and won the UNSW Humanities Research Centre Award for best doctoral thesis of 2000. She was formerly a Senior Research Fellow at the University of New South Wales, and has also worked for community organisations and unions. She has published widely on the social impacts of globalisation and trade agreements. Her publications range from books, refereed journal articles and book chapters to submissions to parliamentary inquiries and opinion pieces in newspapers and on websites. Current research interests include the Trans-Pacific Partnership Agreement and other bilateral and regional trade agreements in the Asia-Pacific region. The real costs of ‘free’ trade agreements and the need for alternative trade policies” in Cahill,D., and Toner P.,Wrong Way: How Privatisation and Economic Reform Backfired, La Trobe University Press and Black Inc Books, 2018, pp.311-327 . “Expropriating public health policy: tobacco companies’ use of international tribunals to sue governments over public health regulation,” Journal of Australian Political Economy, No. 73, Winter, 2014. “The Trans-Pacific Partnership Agreement: Contradictions in Australia and the Asia Pacific region,” The Economic and Labour Relations Review, Vol. 22, No. 1, May 2011, pp. 81-98. “The Politics of the Trans Pacific Partnership Agreement in Australia” in Jane Kelsey (ed) No Ordinary Deal: Unmasking the Trans-Pacific Partnership Agreement, Allen and Unwin, Sydney, 2010, pp. 40-51. “The Australia-US Free Trade Agreement” in Paul Bowles, Ray Broomhill, Teresina Gutiérrez-Haces and Stephen McBride (eds), Towards Reperipheralisation? International Trade and Neoliberal Globalism, Routledge series Studies in Governance and Change in the Global Era (General Editor: Daniel Drache), London, Routledge, 2008, pp. 72-83. “The Australia- US Free Trade Agreement: a contest of interests” Journal of Australian Political Economy, No 57, June 2006, pp.30-56. “Analysing the bonds of the Australia-US Free Trade Agreement” Journal of Australian Political Economy, No 54, December 2004, pp. 148-156. "Global Corporations and Human Rights: the Regulatory Debate in Australia" Corporate Environmental Strategy, Vol. 9, No.2, June 2002, pp. 1-9. “Where are the Jobs in the Job Network? Competitive Tendering of Employment Services” in Fairbrother, P., Teicher, J. and Paddon P., (eds) Privatisation, Globalisation and Labour: Studies from Australia, Federation Press, Melbourne, 2002, pp. 158-182. “Social movement unionism in East Asia? Regional and South Korean union movement responses to the crisis” in Beeston, M., (ed) Reconfiguring East Asia: Regional Institutions and Organisations after the Crisis, Routledge Curzon, London, 2002, pp.117-138. "Korean unions: resisting the International Monetary Fund" in Goodman J., (ed) Protest and Globalisation, Pluto Press, Sydney, 2002, pp. 185-202. “Unions and Globalisation” in Sheil C., (ed) Globalisation: Australian Impacts, University of New South Wales Press, 2001, pp. 127-144. “From one Side of the Counter to the Other : the Impact of Competitive Tendering of Employment Services on Employees” refereed paper published in Conference Proceedings , Association of Industrial Relations Academics of Australia and New Zealand, February, 2000. “Disciplining Governments: The MAI Proposals” in Goodman J., and Ranald P., (eds) Stopping the Juggernaut: Public Interest versus the Multilateral Agreement on Investment (MAI): Pluto Press, Sydney, 1999, pp. 15-32. “Union responses to the Economic Crisis in South Korea and the Philippines” Journal of Industrial Relations, June 1999, pp. 295-325. “Solidarity versus neoliberalism: union regional and interregional organisation in Europe and Asia” Journal of the Asia Pacific Economy, vol. 4, No 1, February-March, 1999, pp. 123-145. “GATT, APEC and the Australian Labour Movement”, in Broomhill, R., Free Trade? Implications for Australian Labour, Centre for Labour Studies Research Papers, No 7, University of Adelaide, 1997, pp. 33-74. “Howard’s Way: the Public Sector” in Journal of Australian Political Economy, No. 37, June 1996, pp. 1-10. “Redefinition of the Public Sector: Serving Citizens or Customers?” (1996) in Farrar, A., and Inglis J., (eds) Keeping it Together: the State and Civil Society in Australia, Pluto Press/ ACOSS, pp. 92-113. "National Competition Policy" Journal of Australian Political Economy, No. 36, December, 1995, pp. 1-25. “ACTU Submission to the Industry Commission Inquiry into Contracting and Competitive Tendering in the Public Sector” in Paddon, M. & Thanki, R. (eds) (1995) Australia's Contracting Public Services: Critical views of Contracting out by the Public Sector, Public Sector Research Centre, UNSW, pp. 83-202. “Women's Organisations and the Cold War” in Curthoys, A., and Merrit, J., (eds) Australia’s First Cold War, Vol. 11, George Allen and Unwin, Sydney, 1987, pp. 41-57. “Feminism and Class: The United Associations of Women and the Council of Action for Equal Pay in the Depression” in Bevege, M., James, M., and Shute, C., (eds) Worth Her Salt: Women at Work in Australia, Sydney, Hale and Iremonger, 1982, pp. 270-285. Trade Justice, Catholic Social Justice Monograph Series, No. 54 , Australian Catholic Social Justice Council, Sydney, 2005, 33 pages, (with Suzette Clark). Discrimination…Have you got all Day? Indigenous Women, discrimination and complaints processes in NSW, Public Interest advocacy Centre and Wirringa Baiya Aboriginal Women's Legal Centre, Sydney, 2001, 84 pages (with Alexis Goodstone). Globalisation, Change and the Public Sector, Public Sector Research Centre Paper No. 55, University of New South Wales, 1999, (with Rai Small), 36 pages. Disciplining Governments? What the Multilateral Agreement on Investment would mean for Australia Public Sector Research Centre and Evatt Foundation, University of New South Wales, Sydney, 1998, 24 pages. The Contracting Commonwealth: Serving Citizens or Customers? Public Accountability, Service quality and Equity Issues in Competitive Tendering of Government Services Public Sector Research Centre Paper No. 47, University of New South Wales, 1997, 47 pages. Competitive Neutrality and Local Government Policies under National Competition Policy in Australia, Public Sector Research Centre Paper No. 46, University of New South Wales, 1997, 40 pages(with Richard Thorowgood). The Budget and the Commission of Audit Strategy: Government as a Small Referee? Public Sector Research Centre Paper No. 41, University of New South Wales, 1996, 28 pages. Outsourcing Information Technology in the Australian Public Service: A One Way Street? PSRC Monograph No. 3, Public Sector Research Centre, University of NSW, 1993, 63 pages. “The Australian High Court tobacco plain packaging decision and Investor-State Dispute Settlement (ISDS),” paper presented at the Stakeholders Forum, Fourteenth round of Trans-Pacific Partnership negotiations, September 9, 2012, Leesburg, Virginia, USA. “Investor-state dispute settlement (ISDS) and the threat to health, environment and other social regulation: the Philip Morris case,” paper presented at the Stakeholders Forum, eighth round of Trans-Pacific Partnership negotiations, September 10, 2011, Chicago, USA. “The experience of the Australia-US Free Trade Agreement: lessons for the Trans-Pacific Partnership Agreement negotiations,” paper presented at the Stakeholders Forum, seventh round of Trans-Pacific Partnership negotiations, June 19, 2011, Ho Chi Minh City, Vietnam. “The Trans-Pacific Partnership Agreement: contradictions in Australia and in the Asia Pacific region,” paper delivered at the ninth Australian Society of Heterodox Economists Conference, December 8, 2010. “Contesting the social impacts of neoliberal trade and competition policies” paper delivered at the Association of Heterodox Economists Conference, Bordeaux, July 8, 2010. “Political perceptions of the Australia-US Free Trade Agreement” Paper delivered at a plenary session of the Fulbright Symposium on the Australia-US Free Trade Agreement after five years, held at Old Parliament house, Canberra, August 24-5, 2009. ‘Trade Agreements and the rights of Temporary Migrant Workers,” paper presented at the Catalyst Seminar on Temporary Migrant Workers, Sydney, May 6th, 2008. “What will APEC achieve?” Debate with Dr Malcolm Cook of the Lowy Institute, the Sydney Mechanics School of Arts Controversy Series, August 13, 2007. “The WTO, labour rights and environmental sustainability” presentation to a Seminar on the Future of the WTO held at Melbourne University, March 1-2, 2007. “The WTO one year after the Hong Kong Ministerial Meeting,” presentation to the Hong Kong Peoples' Alliance Seminar at the City University of Hong Kong, December 3, 2006. ‘The Australia- US Free Trade Agreement: impacts on Australian social policies” address to the Adelaide Festival of Ideas, July 11, 2005. “The limits of the World Trade Organization as a global institution” address to the Adelaide Festival of Ideas, July 10, 2005. “Trade agreements and democracy” address to an international conference on bilateral and regional trade agreements organized at Adelaide University involving speakers from Australia, Canada, Mexico and Norway, April 19, 2005. “Trade in services, health policy and nursing“ plenary paper presented to the 2004 Asia Pacific Nursing Congress Sydney, November 10, 2004. “Impacts of the Australia-US Free trade Agreement and the WTO Trade in services negotiations on service workers” address to the National Conference of the Australian Services Union, October 18, 2004 . "The global impacts of bilateral trade strategies" plenary address to the Oxfam National Conference on Trade and Security, Sydney, October 2, 2004. "Trading away social policy? The impacts of the AUSFTA on Australian law and policy" plenary paper at the 26th Attorney General's Conference on International Trade Law, Canberra, September 23, 2004. “The AUSFTA and the public sector” address to the National Conference of the Community and Public Sector Union March 26, 2004. Address on the AUSFTA to the ACTU national training course for union organisers, February 5, 2004. Address on the AUSFTA to a seminar of unions and conference delegates held conjunction with the Australian Labor Party National Conference January 29, 2004. “Current state of play in the WTO GATS negotiations,” address to an Australian-New Zealand Seminar on GATS organised by the Public Services International, the Education International and the Australian Council of Trade Unions held in Sydney, December 9-10, 2002. “US bilateral trade strategy” plenary paper to an international forum of non-government organizations, Cancun, Mexico, September 2003. “Trading Away Essential Services: the WTO GATS negotiations,” plenary address to the Oxfam /RMIT Public Forum, "Visions for a fairer, more sustainable global trading system" Melbourne, April 13, 2003. “Global services corporations and privatisation of public services,” plenary paper to the Norway Social Forum, Oslo, November 2002. Keynote address “Globalisation, Trade Agreements and Human Rights” at the National Association of Community Legal Centres Conference on Globalisation, Economic Exclusion and Inclusive Activism, Melbourne, September 2, 2002. “Global Corporations and Human Rights: the Legislative debate in Australia,” plenary paper presented at the Conference on the Legal Dimensions of Corporate Responsibility, organised by the Royal Institute of International Affairs, Chatham House, London, 23 November, 2001. “Global Institutions, Democracy and Accountability: the WTO after the MAI and Seattle”, plenary paper at the ACFOA National Conference on Development Challenges in the Global Economy, Melbourne, September 7, 2000. “From one Side of the Counter to the Other: the Impact of Competitive Tendering of Employment Services on Employees,” refereed paper presented at the Association of Industrial Relations Academics of Australia and New Zealand, Newcastle, February 3, 2000. “Korean Unions the IMF and Economic crisis” paper presented at the Australian Political Science Association Conference, Sydney, September 28, 1999. “Challenges to Human Rights and Trade Union Rights Posed by the East Asian Economic Crisis” plenary paper delivered to the International Trade Union and Human Rights Conference organised by the Asia Pacific Regional Organisation of the International Confederation of free Trade Unions and the Public Services International, Kuala Lumpur, December-8, 1998. “Privatisation in the Asia Pacific Region,” paper presented to the Asia Pacific Peoples’ Assembly on APEC, Issue Forum on Privatisation and Deregulation, Kuala Lumpur, November 11-12, 1998. “National Competition Policy and the Public Interest” plenary paper presented to the NCOSS Annual Conference, Sydney, 9 October, 1998. “Union Responses to the Asian Crisis” plenary paper presented at a Conference on ‘Assessing the Asian Crisis, Economics, Politics and Society’, Institute for Development Policy and Management, University of Manchester, 7 April, 1998. “Solidarity versus Neoliberalism: Union regional and inter-regional organisation in Europe and Asia” plenary paper for the Asia-Europe Inter-Regionalism Panel of the ASEASUK Conference, School of Oriental and African Studies, London University, 2-4 April, 1998. “Getting Governments Out of the Way of Business? : APEC and the Labour Movement” plenary paper delivered to the Seminar on Globalisation, Convergence and Worker Resistance, at Arden House, University of Warwick, 17 May, 1997. “Social Clauses in Trade Agreements: the Debate in the Asia Pacific Region” plenary paper at the Labour Rights and Globalisation Conference, Deakin University, Melbourne, December 12, 1996.